Up the winding mountain roads of Yamanashi’s Shosenkyo region, lies a beautiful scenic hike for visitors to enjoy year-round. Kakuenpo, the highest cliff in the area, is known as the place where monk Kakuen meditated on the space of only a few tatami mats. The view of Kakuenpo on the way up the mountain is breathtaking. It is especially picturesque with fall foliage, though it is beautiful throughout the seasons. 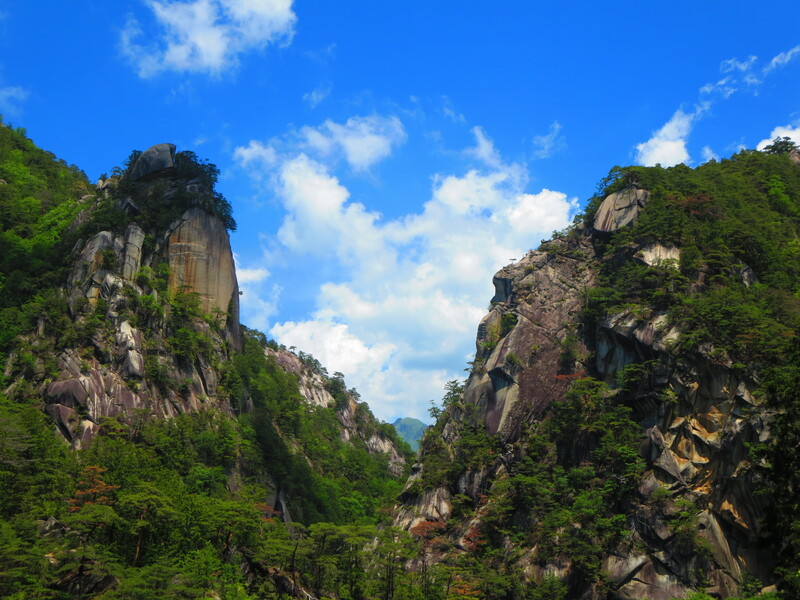 Ishimon, a huge granite formation, can be found on the hike up the mountain. 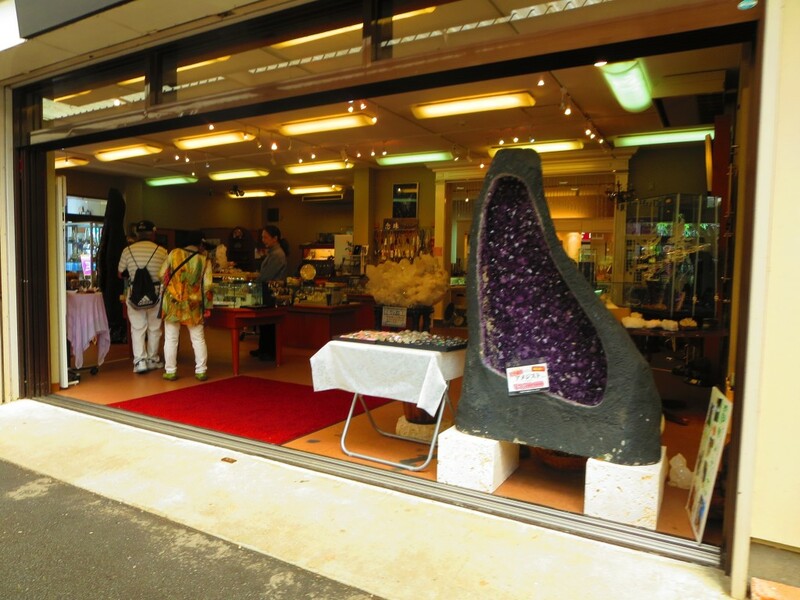 Along the trail up towards the shopping village, visitors can find Otaki, a 30m tall water fall. 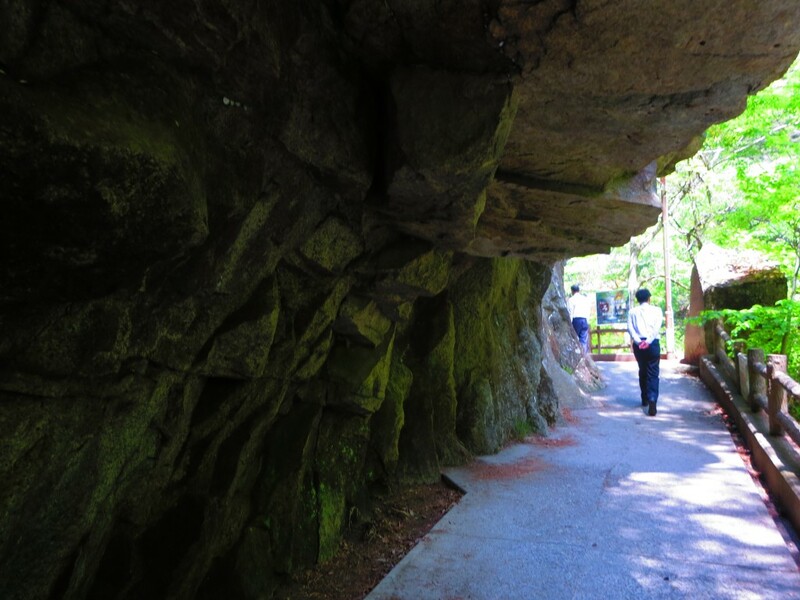 Nearby is another formation which covers the walking path, creating a half-tunnel through which visitors can walk to the bridge for another spectacular view of Kakuenpo. Lodged in the stone of this arch are coins, placed there by visitors for luck. 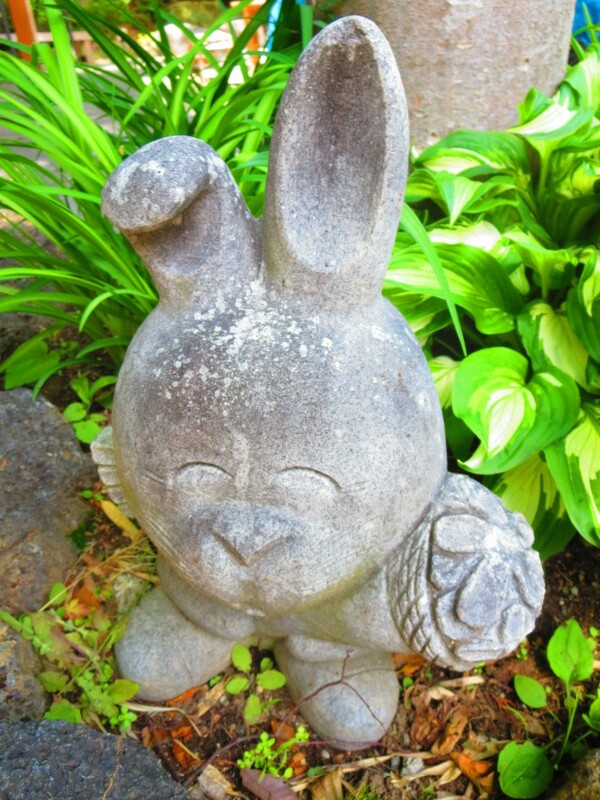 Many trails begin at the bottom of the mountain for active visitors. For those who prefer walking minimal distances, it is possible to park at the top of the mountain at the shopping village and walk down many stairs to the waterfall. However, it is important to take note of the traffic regulations; cars are only allowed on weekdays in a one-way direction and not allowed on holidays and weekends. 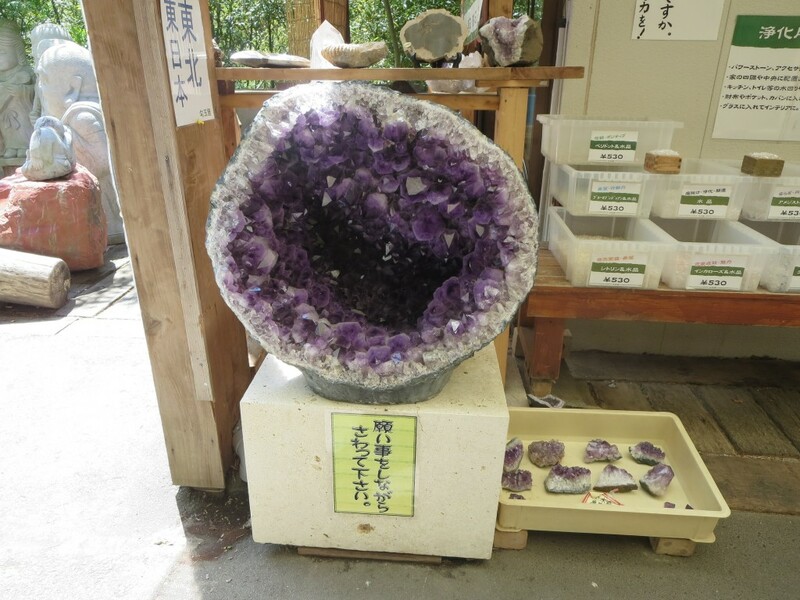 As the area is known for crystals and gems, many of the shops display and sell a wide selection of such items. 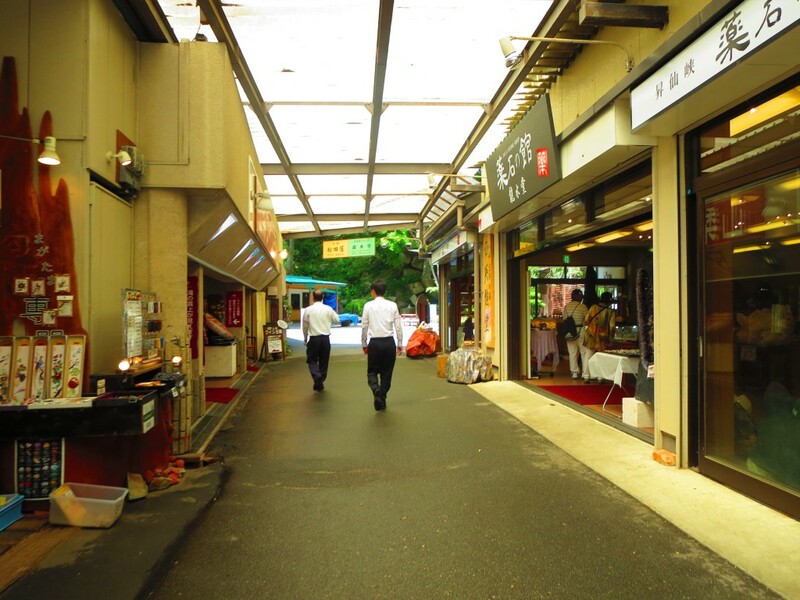 Other popular items include regional dishes and soft-serve ice cream. The shopping and parking area is a great space for relaxing and picking up a few items to bring home and share with family and friends. Farther up the mountain trail along winding roads, visitors will reach the top, where Mt. Fuji can be seen on a clear day. 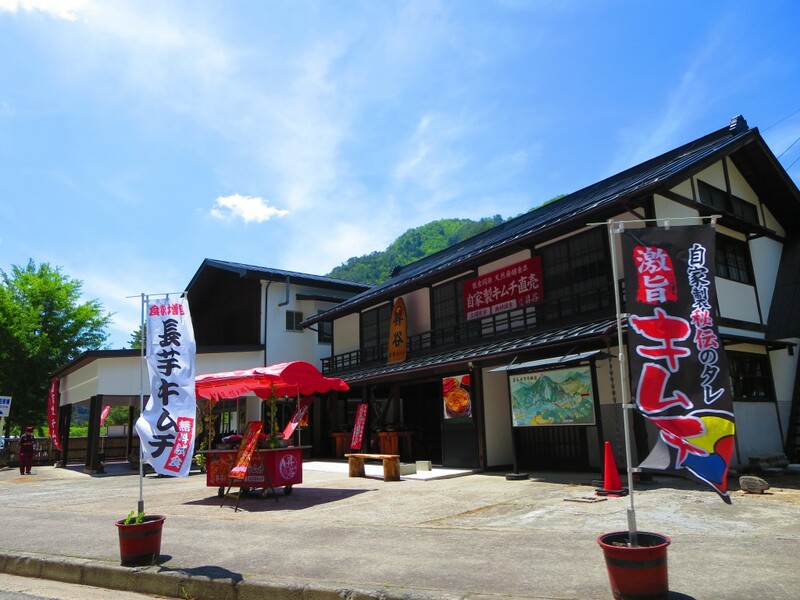 On the mountainside, there is an old-fashion café with an incredible view and traditional foods. Stopping there is absolutely necessary, if just for the view. 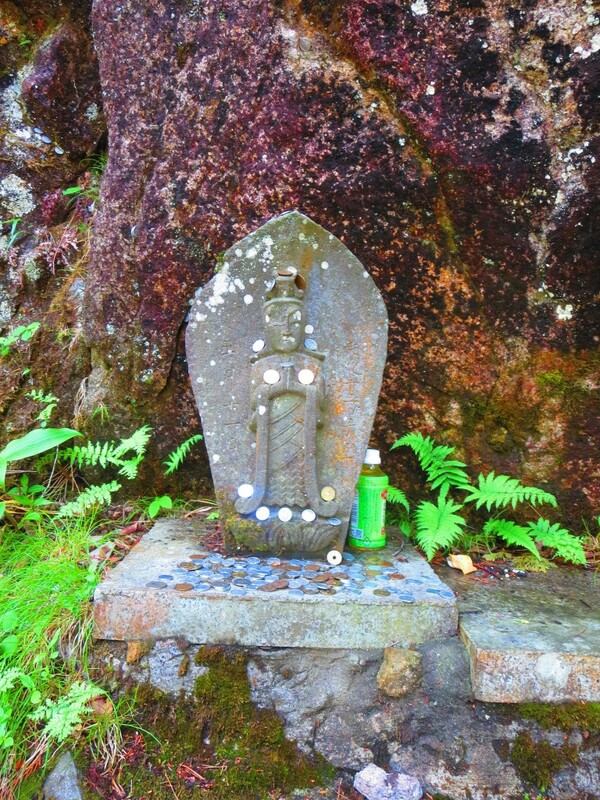 Shosenkyo is a location not to be missed on a tour to Yamanashi!